The Isle of Wight is a cyclist's paradise. With more than 500 miles of cycle and bridleways to explore, it has been voted one of the top 10 cycling locations in the world by Lonely Planet. To help visitors to enjoy “Bicycle Island” to the full, the Isle of Wight tourist board has published four of its most popular routes within ViewRanger. It is possible to download these within the app before you go, clip the smartphone to your handlebars and then set off for a great day out. Tom Ransom, sustainable transport marketing executive at the Isle of Wight Tourist Board talks about this exciting project. “More and more people are finding out about the Isle of Wight and what to do, so the idea behind Bicycle Island is to encourage people to stay on the island overnight and also to choose it as a location for short cycling holidays. We have developed the website http://www.visitisleofwight.co.uk/bicycle-island as an online resource to support this. “We have published three of our established cycle routes in ViewRanger; the Red Squirrel trail, Taste around the Island, the Chalk Ridge Extreme and are building on this. “A benefit of using ViewRanger is that it allows us to flag up places of interest along the route – such as cafés, public toilets or hotels – which is useful for the consumer but great for the local economy as well. “We have suggested overnight accommodation as well so hopefully it contains all the information that visitors need to have a memorable break,” he adds. This family friendly Red Squirrel Trail has been tailored for cyclists who prefer car-free cycling on mainly flat, gentle routes. It takes the visitor along disused railway lines ensuring a leisurely cycle from coast to coast through some of the Island’s most beautiful countryside. The Red Squirrel Trail is a British wildlife safari with great places to spot rare wildlife like Alverstone Mead nature reserve where there is bird and Squirrel hide. The route also includes tourist attractions such as the Shanklin Chine with its dramatic waterfalls and the Garlic Farm. This is a round the island route with stops for food and drink. It would be possible to do it in one day but it could be spread over four days to sample all the delights. 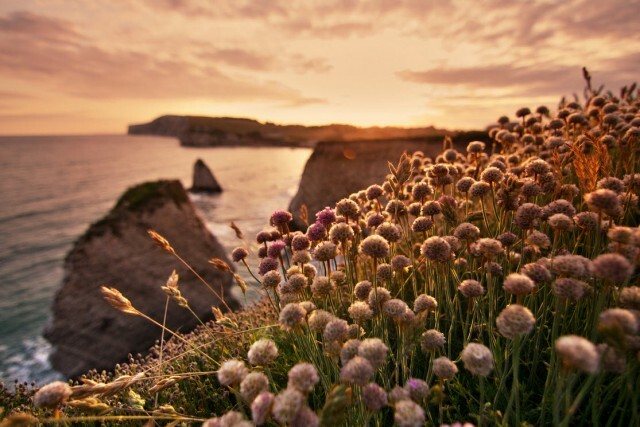 The mellow climate ensures that the Isle of Wight is home to a huge variety of local produce; the freshest seafood straight from the fisherman's catch, locally brewed beer, wine and cider, organic fruit and vegetables as well as delicious homemade ice creams and deserts. This is a 50 mile circular mountain bike route which has been called the “off road round the island cycle route”. 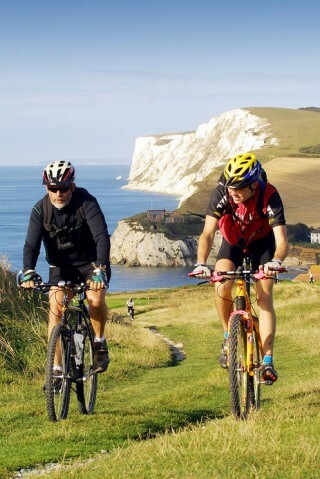 It follows some of the country’s most stunning chalk ridge single track and downhills, incorporating some of the best views of the island. Not a route for the faint hearted, it is challenging both in its gradient and the trail surface from mud to slippery chalk. There are more easy sections to give you a welcome break, where the route follows public byways across rural farmland. A special feature enroute is the Isle of Wight Mountain Bike Centre which has trails originally constructed for the Island Games in 2011. 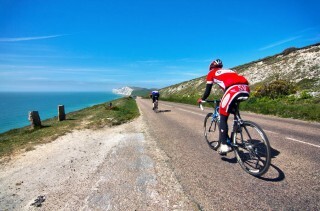 If you have a favourite Isle of Wight cycle ride why not share it with us on my.viewranger.com (click here to find out how). Images kindly provided by the Isle of Wight Tourist Board.